The first step in building any electronic circuit, after you have decided what it is going to do, is to design and draw a circuit diagram from which you can build the circuit. I have already calculated the component values for you and tested it to make sure it should work for you. Actually the theory and calculations involved in this circuit are very simple which is exactly how I like it. Don't worry too much if you don't understand what all the symbols mean yet because you don't need to for this project. 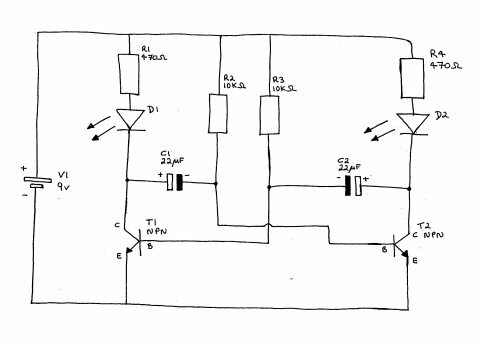 You should be able to follow along with this circuit build easily without referring to the circuit diagram. 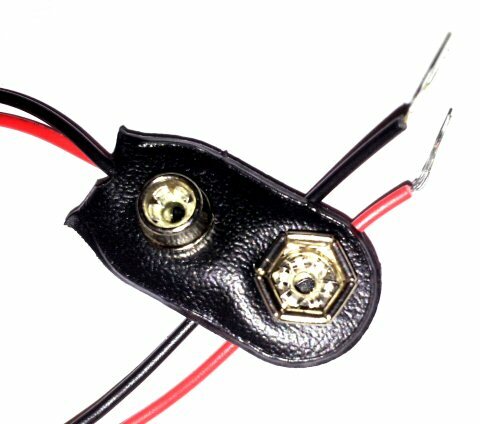 10k Ohm resistor: Brown - Black - Orange. 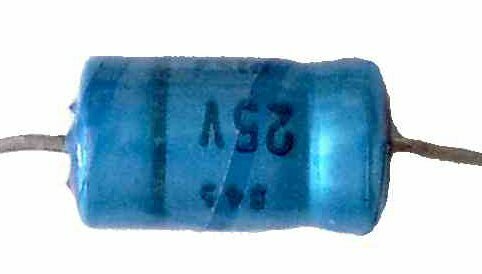 470 Ohm resistor: Yellow - Violet - Brown. 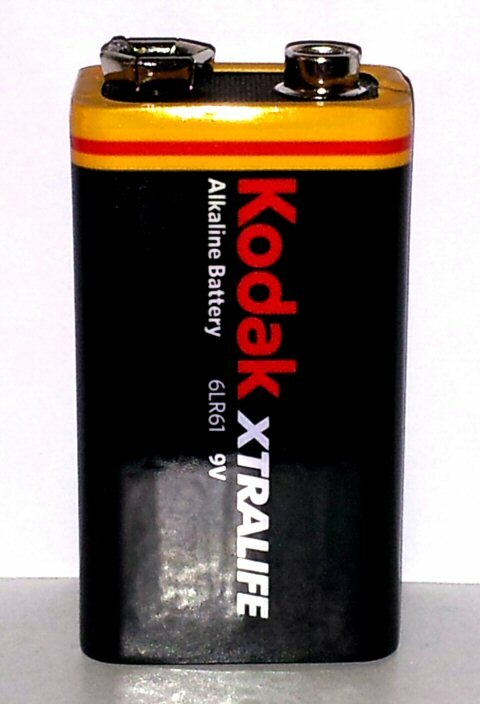 Electrolytic capacitor. Note this component must go in the correct way round. The black band generaly denotes the -ve end of capacitor. Light Emitting Diode. Note this component must go in the correct way round. 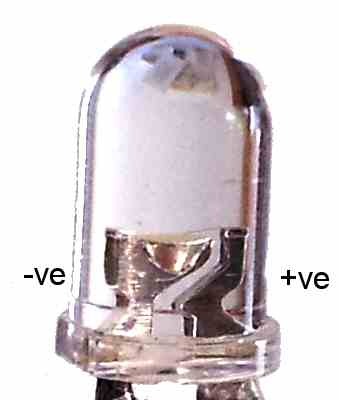 The larger electrode inside the LED is generaly the -ve side of the device. 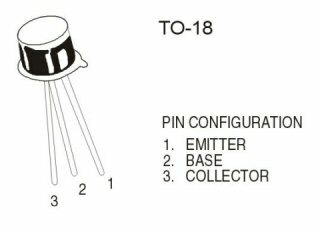 Transistor. Note this component must go in the correct way round. 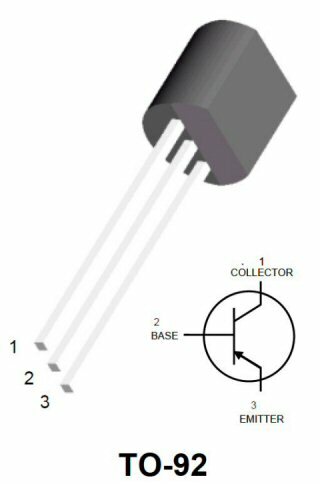 Check the package of your transistor and be careful to get the Collector, Base and Emitter into the correct position. Snap on 9 volt battery connector.